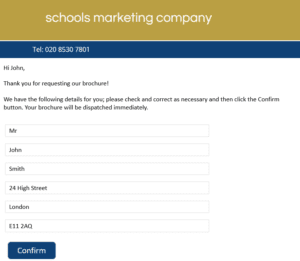 With the UK's largest database of Teachers direct school email addresses, we can help you target your email marketing, increase traffic to your website, generate more leads and increase sales. We have the largest and most accurate schools and education database in the UK. Full data coverage of all UK Schools, including over 600,000 named Teachers, Purchasing Decision Makers and Senior Leadership Contacts. You can target 100+ school Job Function Areas, by school type (i.e. State, Independent, Academy, Free, Special etc.) geographic area (county, LEA area, postcode, region) number of pupils, school budget, school deprivation level and many other indicators. We send your email directly to teachers on their school email address (i.e. directly to Jan.smith@school.sch.uk – rather than the school generic office@ types of email address). Your emails are set up and sent using our bespoke email system via our own gateway ensuring speedy delivery and fewer bounces due to spam filters or firewalls. We also have some unique ways to boost response and improve your calls to action too! Ever received a personalised email, clicked on the download link or brochure request link only to be presented with a lengthy form you were required to complete? 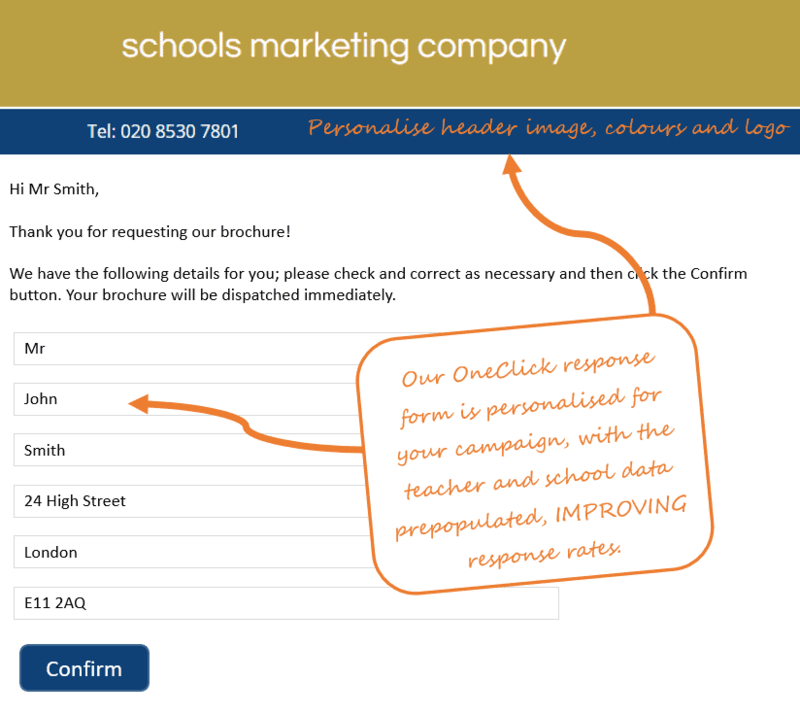 Our 'OneClick' links allow you to prepopulate form data, improving Teacher response rates. 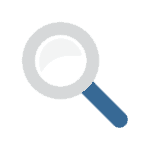 OneClick – our unique OneClick link enables teachers to respond to you, without having to fill in a contact form! With our unique OneClick link in your email content, all Teachers need to do is OneClick and confirm - and their response request is sent to you automatically. Its that simple! One Click Plus+ - Want to ask Teachers some additional questions? Need to gather some more information from them? Our unique OneClick Plus+ link – lets them respond to you with our unique OneClick AND tell you some more about themselves too! Email Surveys – We can set up an email survey for you and send it to the Teachers or School Managers of your choice – directly to their individual school email addresses – and our unique OneClick response mechanism means the Teachers name and school details are automatically populated in their responses to you, so they can spend their time answering your questions and not completing their own details.